Kyle is an Associate Portfolio Manager for Johnson Financial Group. 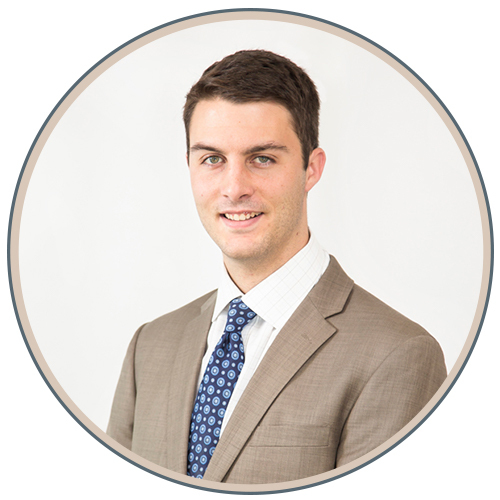 He joined JFG in 2013 and works on the Investments team. His responsibilities entail oversight and day-to-day management of client investments, encompassing trading, research, reporting, compliance and operations coordination. He is a CFA Level III candidate. Graduating from the University of Denver in June, 2013, he holds dual degrees in Finance and International Business. Kyle was a four-year member of the varsity lacrosse team at the University of Denver, earning an ECAC Academic All-Conference award three times, and was also named an USILA Scholar All-American in 2013.